Prepare some celebratory waffles and all the bacon and eggs you have because tonight’s season finale of Parks and Recreation is going to be awesome. Starting at 8/7c, get excited for an hour filled with surprises, big decisions and glorious guest stars, including First Lady Michelle Obama! Then at 9/8c, enjoy all your favorite SNL digital shorts, and as an added bonus, Andy Samberg hosts the special. 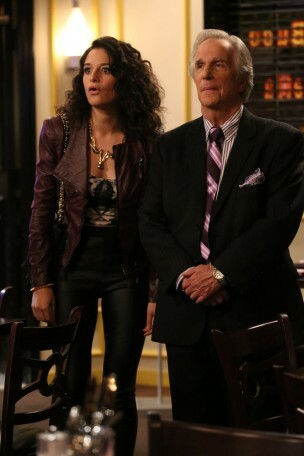 Leslie, Ben and Andy take a trip to San Francisco in the Parks season finale, Thursday at 8/7c on NBC. 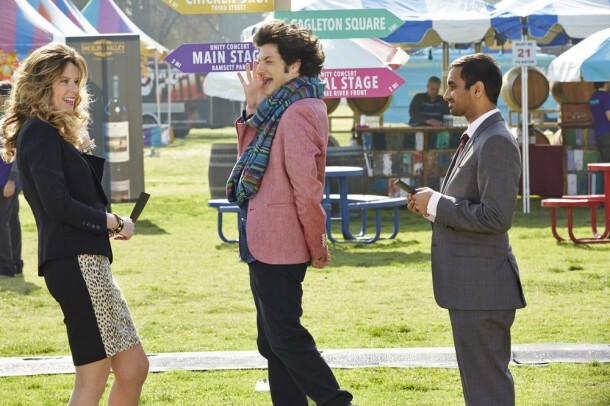 Ben and Andy meet with a tech start-up company in an attempt to get free Wi-Fi to Pawnee. The preparations for Tom’s Bistro’s soft opening are not going smoothly, thanks in part to Larry’s biggest gaff ever. 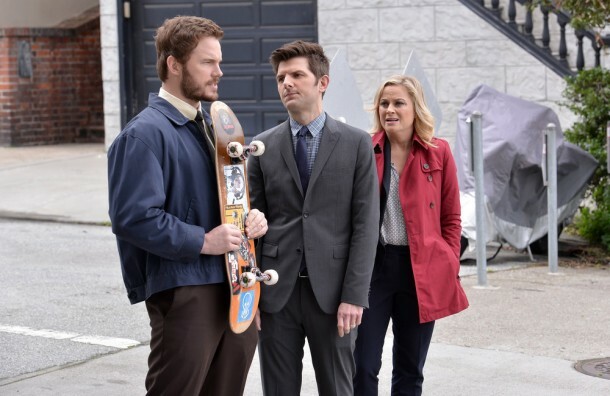 The cast of Parks and Recreation discuss the news of Leslie’s triplets. Amy Poehler tells us what’s in store for the star-studded Season 6 finale. Andy Samberg hosts a collection of some of Saturday Night Live’s all-time favorite digital shorts on April 24 at 9/8c.